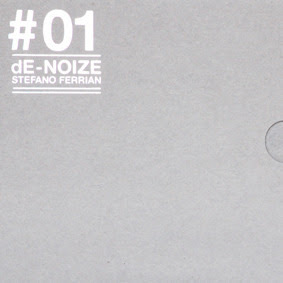 Stefano Ferrian's been around for quite a good deal of time accumulating an even greater deal of experience in musical education giving now the showcase of this beautifully and ingenuinely published cd. Loads of tonal and atonal experiments steering away from sonorous modalities and typical idioms of free improvised music. I would rather label it as a free improved music - with a strong highlight of good and clear composing abilities which gives a real pleasure to listen. Ep's got everything what it should have with the right length and variety of moods emulated from guitars, saxes, bass 'n synths 'n programmed drums 'n vocals...to great extent you can hear loads of references to free jazz too, Stefano's got it all...great stuff, way to go!